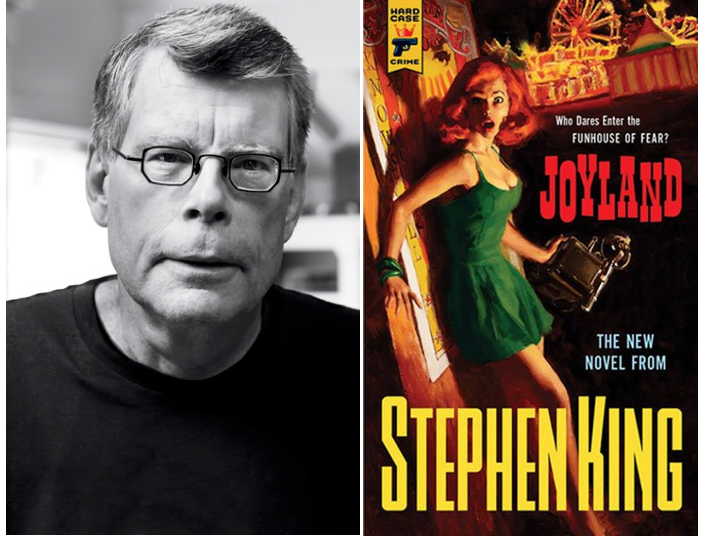 Hard Case Crime, the award-winning line of pulp-styled crime novels published by Titan Books, today announced it will release two new editions of Stephen King’s Joyland, the acclaimed coming-of-age story set in 1973 in a small-town amusement park that is the scene of an unsolved murder. 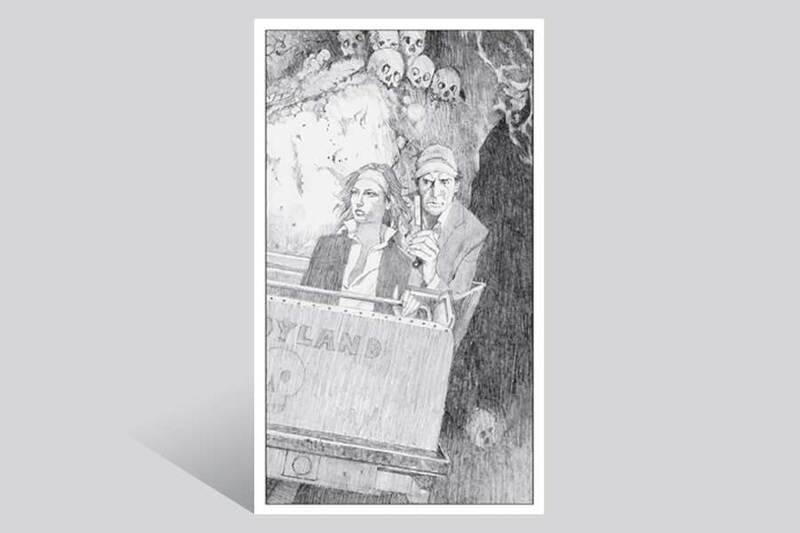 First published last June, and recently named a finalist for the Edgar Allan Poe Award (the mystery genre’s most prestigious honor), JOYLAND has appeared on the New York Times Best-Seller list for more than 24 weeks. 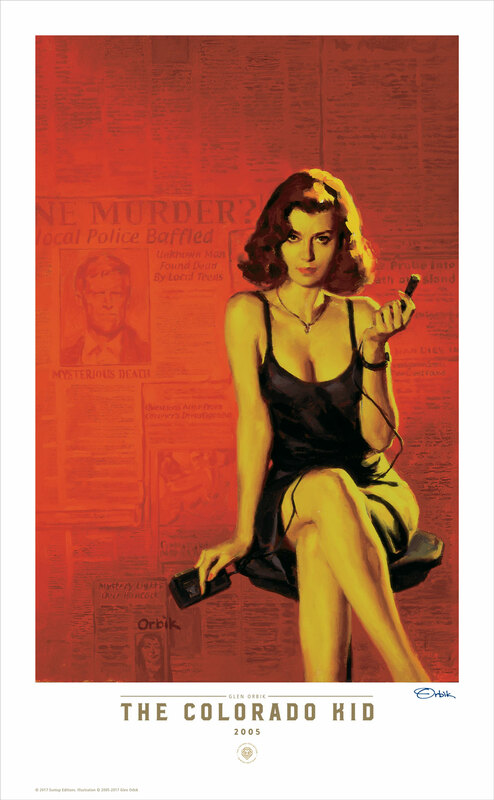 On May 27, Hard Case Crime will publish the book for the first time in the classic rack-sized “mass-market” paperback format typical of pulp crime novels in the 1940s and 50s. The company will also release the novel for the first time in an e-book edition, in April 2014. Described as “the best new American publisher to appear in the last decade” by Neal Pollack in The Stranger, Hard Case Crime revives the storytelling and visual style of classic pulp fiction. The line features an exciting mix of lost pulp masterpieces from some of the most acclaimed crime writers of all time and gripping new novels from the next generation of great hardboiled authors, all with new painted covers in the grand pulp style. Authors have included James M. Cain, Mickey Spillane, Pete Hamill, Madison Smartt Bell, Lawrence Block, Ed McBain, and Donald E. Westlake, to whom Joyland is dedicated. Stephen King’s first Hard Case Crime novel, The Colorado Kid, also became a national bestseller and inspired the television series “Haven” on SyFy. 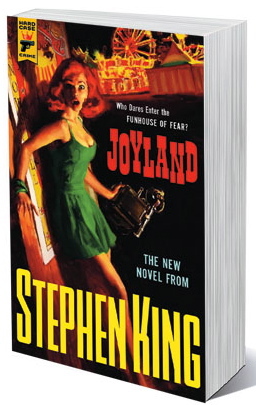 Hard Case Crime, the award-winning line of pulp-styled crime novels published by Titan Books, released Joyland, a new novel by Stephen King, today (June 4, 2013). 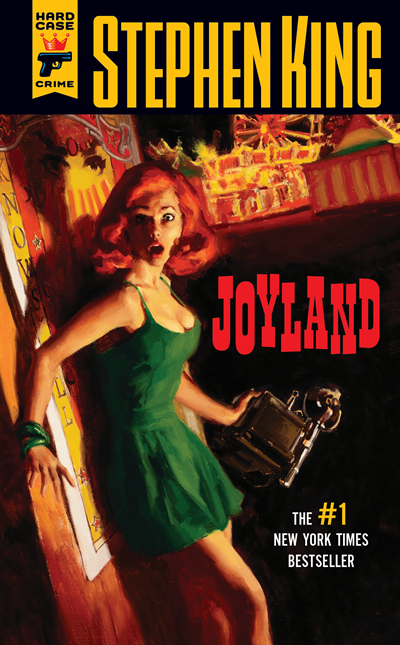 Joyland features new painted cover art by the legendary Robert McGinnis, the artist behind the posters for the original Sean Connery James Bond movies and “Breakfast At Tiffany’s,” and by Glen Orbik, the painter of more than a dozen of Hard Case Crime’s most popular covers. 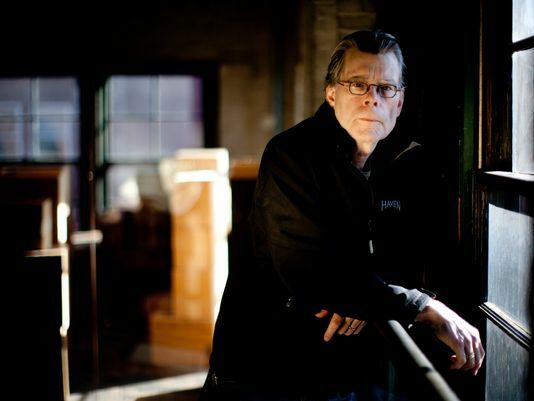 With more than 300 million books in print, Stephen King is one of America’s most successful authors. He talks about his latest page turner, “Joyland,” a crime novel with elements of religion, the supernatural, and a coming-of-age story, and explains his decision to not publish an e-book on The Today Show. 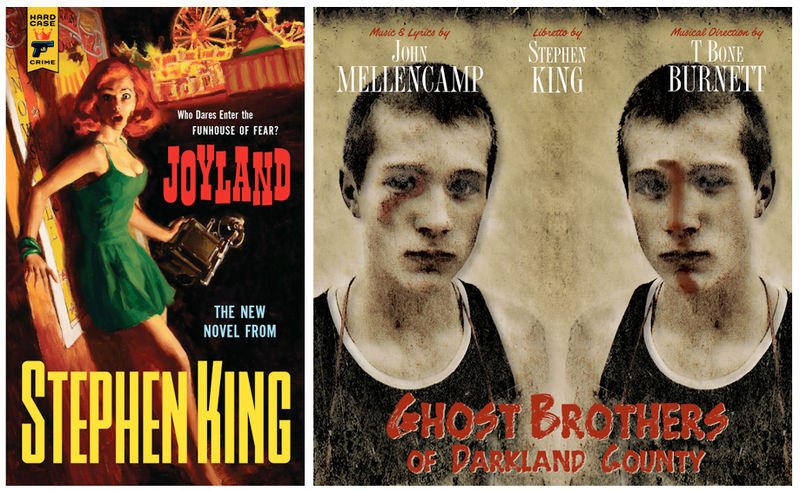 Stephen King will be doing a number of appearances to promote the releases of Joyland and Ghost Brothers of Darkland County. Here’s the list but be sure to check local listings for the correct date/time in your area. Meet the Creators (live event at Apple’s NY Soho store 6 PM) This will be broadcast later in the week. It’s been 40 years since Stephen King wrote his first novel Carrie and one year since he released his last and 62nd, book, The Dark Tower: The Wind Through The Keyhole. This summer, the prolific suspense author has another novel coming out. Click HERE to read an exclusive excerpt from the opening pages of King’s forthcoming novel: “Joyland.” The scene: It’s 1973, and a summer job as a carny at a small-town amusement park forces college student Devin Jones to confront death in a number of unusual different ways. 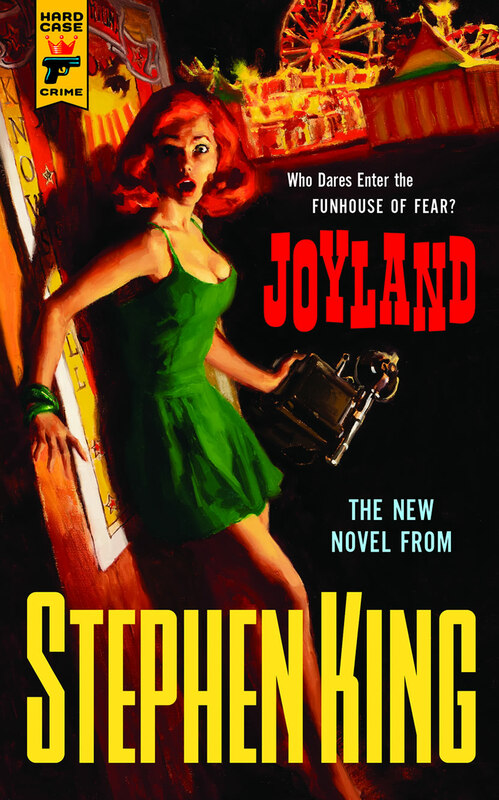 Stephen King’s new novel Joyland, published as a paperback original on June 4 2013, by the award-winning Hard Case Crime line from Titan Books, is released in tandem with three hardcover limited editions for collectors, two of them signed by the author. All three hardcover editions feature both a new cover painting and nine black and white interior illustrations by the legendary Robert McGinnis, the painter responsible for more than 1,000 classic book covers as well as the iconic movie posters for Breakfast at Tiffany’s and the original Sean Connery James Bond movies. 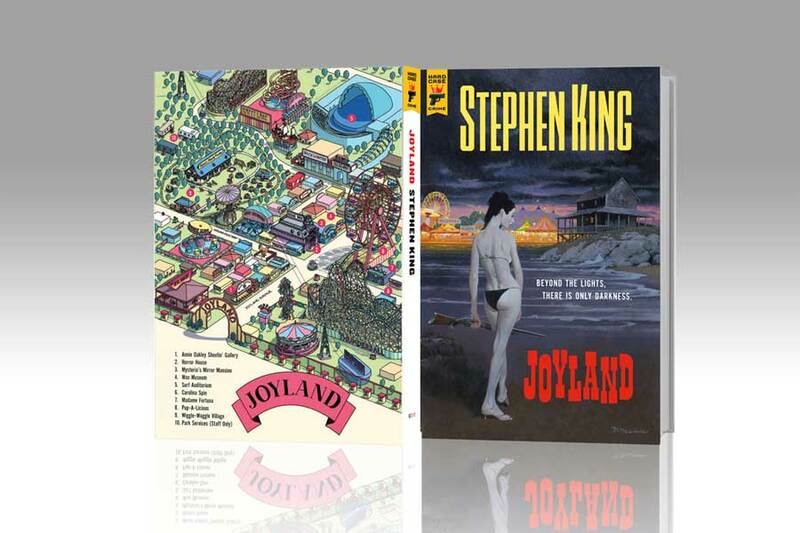 Joyland is the first book ever fully illustrated by McGinnis, whose 70-year career includes induction into the Society of Illustrators Hall of Fame alongside Norman Rockwell and Maxfield Parrish. 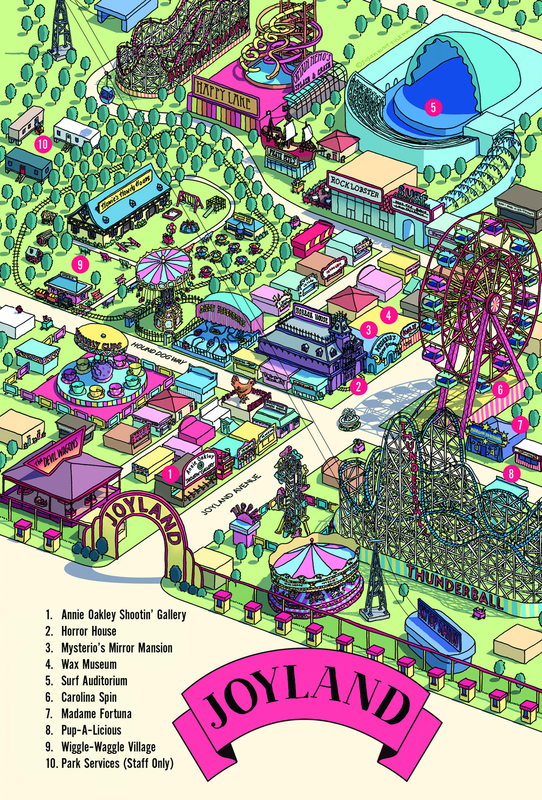 In a nod to the look of classic paperback crime novels, the hardcover editions also feature a map on the back cover, drawn by Susan Hunt Yule, of the Joyland amusement park where the story takes place. 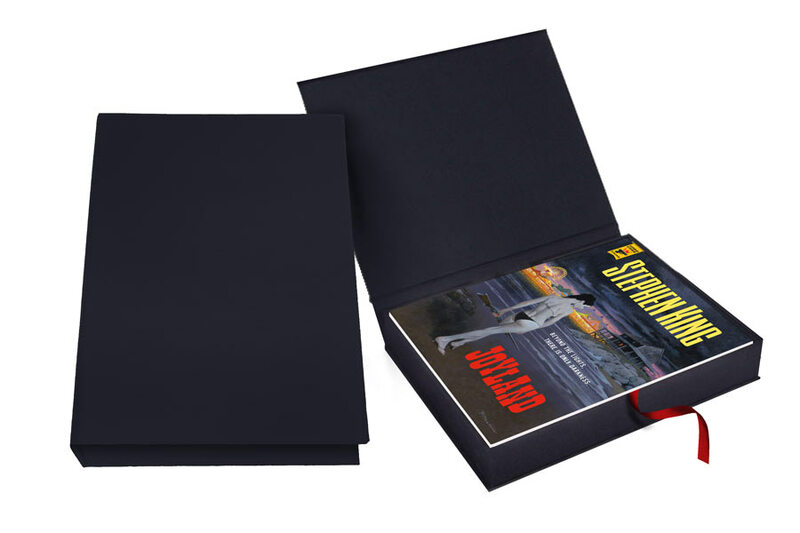 – This specially created hardcover edition is a limited run edition of the book- Not Signed by the author. Set in a small-town North Carolina amusement park in 1973, Joyland tells the story of the summer in which college student Devin Jones comes to work as a carny and confronts the legacy of a vicious murder, the fate of a dying child, and the ways both will change his life forever. Joylsnd is a brand-new book and has never previously been published. One of the most beloved storytellers of all time, Stephen King is the world’s best-selling novelist, with more than 300 million books in print. Order the books HERE. The three editions will be published on June 11, 2013. If you would like to read an early review of the book from Stephen King expert, Kevin Quigley please click HERE. 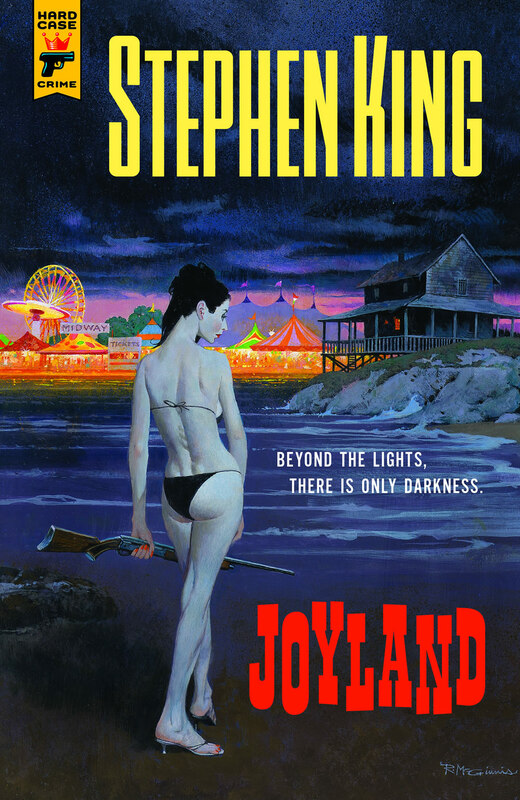 Joyland will be available initially in paperback on June 4th.